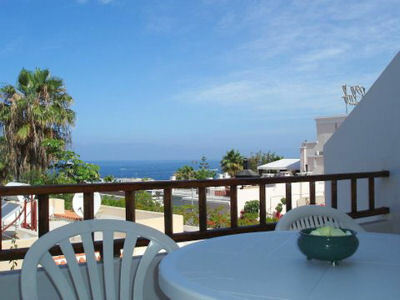 One bedroom apartment which is located on the 1st floor of the Los Geranios complex in Puerto Colon in Tenerife. 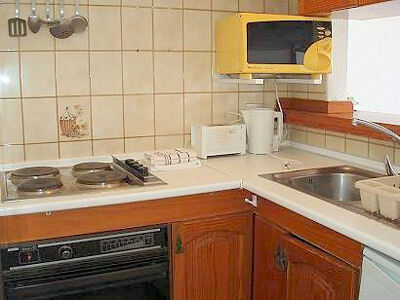 The apartment enjoys a sea view and is equipped with a full oven, 4-ring hob and a microwave. 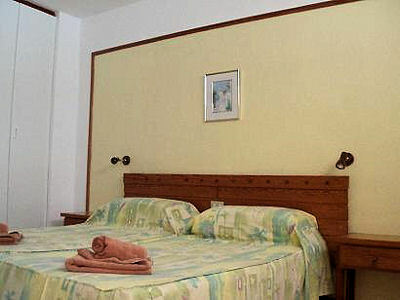 There are 2 single beds in the bedroom, but a 3rd and 4th person can be accommodated on 2 z-beds if required. 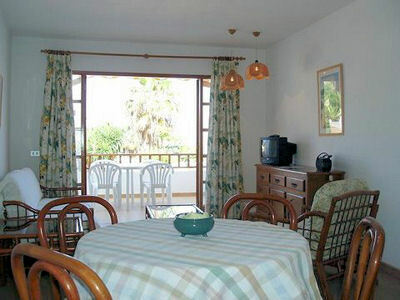 There is also satellite TV with English channels and a music system.